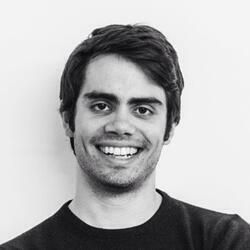 CharlieHR is a free HR platform designed to help small businesses grow. By automating many of the administrative burdens that small companies face as they scale up, CharlieHR provides founders and their teams more time to focus on the things that matter and their software is now used by over 7000 companies. 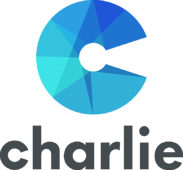 Founded in 2012 by serial start up founders, Ben Gateley and Rob O’Donovan, CharlieHR is a young company with a youthful, tight-knit team. As the team grew, so did the need for administrative support, but Ben found it difficult to delegate administrative tasks internally “for purely cultural reasons”, saying that it “never felt right [to delegate his admin tasks to someone else] within the business”. As such, they were looking for this burden to be dealt with externally. They turned to FYXER. FYXER met with Ben to discuss his specific needs. In particular, he wanted to be accessible to his team: allowing them to pitch ideas to him directly and then delegate the resulting high-value work to them. He believed that having ‘someone sitting next to him’ would deter such a process, thereby damaging the company’s workflow, culture and hierarchy. FYXER’s model was the perfect match. We provided the founders with instant access to a remote assistant, enabling them to sync diaries, manage their time and keep on track of admin, without having to add someone to their internal team. Being based in London, they were also given the option of call on their assistant to come to the office if required, but soon discovered that all necessary tasks could be performed remotely and they never needed their Fyxer to come in. CharlieHR’s core belief is that “building a company is hard, running one shouldn’t be”; FYXER’s solution follows this exact philosophy. CharlieHR recognised that FYXER, like them, is a service that gives companies more to do what matters. With FYXER covering CharlieHR’s management, feedback, training and HR, Ben and Rob not only maintained the close-knit company culture in the CharlieHR office, but also freed up more of their own time to focus on growing their business. “For me, hiring an internal assistant didn’t sit right. I didn’t want a physical barrier to my colleagues, so that’s why FYXER’s remote model was ideal. After giving it a go, I was so impressed with the quality and responsiveness of their Fyxers. Not only do they manage mine and Rob’s day-to-days flawlessly, but when we’re having a busy month, FYXER are able to jump in and help. It’s like having your own dedicated support team waiting on cue”.